Home / Story / SALE-brate Good Times, Come On! SALE-brate Good Times, Come On! We are having a right sale-bration here at Lazy Oaf as we have put even more of our designs down to jaw-dropping prices that you won't be able to resist! With designs selling out faster than ever before, make sure you take your pick before it is too late. Have all eyes on you from the moment you leave the house with the pretty-in-pink Look Oversized T-shirt now only Â£7.50! Boys, send tails wagging with the Jeff Repeat T-shirt down to Â£7.50 (girls no longer available). 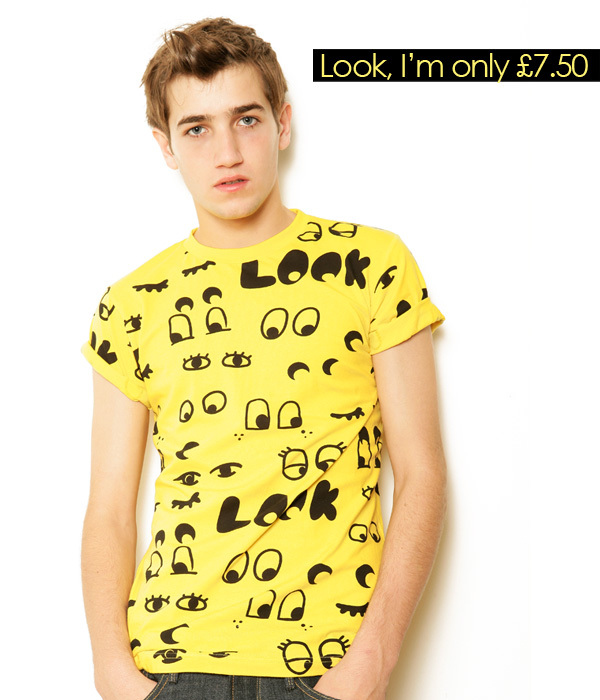 Look like the star of the show in the Look Men's T-shirt at Â£7.50 too. And now you can get one of our all time faves, Wolf and Moon for girls and boys at just Â£10. There are only five girls ones left all together so hurry! Remember, the sale is over on Sunday 1st August so you have just over a week before it is all gone for good.